Located at 155 New Turnpike Road in Troy NY, we are a small, loving family of Bible believers led by Pastor Tyrone Lynch. Please join us for a service and you will be blessed. The purpose of our church is to unite believers in fellowship for the development of spiritual maturity, for the winning of sinners to Christ, and for the spreading of the Gospel of Jesus Christ. As Christ’s earnest disciples, bound together by His love, we are resolved , whatever the risks, to seek His will, share His word, and serve His world, all to the glory of His name. Pleasantdale is a hamlet in the town of Schaghticoke located just north of Troy, New York. The Pleasantdale Community Church is made up of Bible-believing, spirit-filled Christians who enjoy praising the Lord. 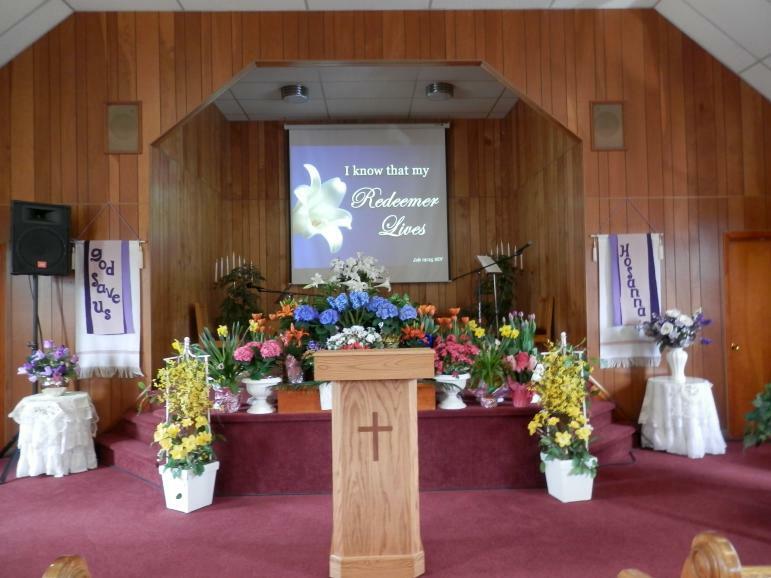 Our service is approximately 90 minutes long and includes both traditional hymns and new praise & worship music. Our Pastor's message comes from the Bible and is always edifying. We offer Children's Church and child care during the service. We celebrate Communion on the first Sunday of every month. We also hold a coffee hour following services on the third Sunday of every month. We love to have visitors and encourage you to visit when you are in the area. You will not find a friendlier group of people anywhere. Come join us and share God's love. A) To love each other as Christ loves us, never allowing our care and love for one another to grow cold. B) To pray for the work and ministry of the church and to promote its teaching and mission in our community and throughout the world. To dutifully pray for one another, lifting our brothers and sisters in Christ toward the Lord on a consistent basis. C) To share verbally and with our actions, the gospel of Christ with our family, friends, and neighbors and to give faithfully to missionaries who do the same across the world. D) To have private and family time spent in the word of God, and if we have children, to educate those children in the Christian faith. E) To be above reproach in our personal and business lives including our conduct and our speech. To acknowledge that God’s people are called to holiness in all aspects of life. This includes honoring the sanctity of marriage between a man and a woman, the only relationship with which sexual activity is appropriate. F) To turn to each other and to the Lord in times of distress and difficulty. G) To watch over one another, pray for one another and to aid one another in sickness, grief or distress. We commit to weep when others weep and rejoice when they rejoice. H) To avoid all gossip, backbiting and excessive anger. I) To be slow to take offense and to always be ready to reconcile and work out our differences, according to the rules of our Savior and to secure it without delay. J) To be eager to hear and obey God’s direction for our lives for ministry in this church or outside of it. K) To share the responsibility of our church by praying for its growth, inviting the unchurched to attend, and by warmly welcoming those who attend. L) To serve the ministry of my church by discovering and using my gifts and talents. In conclusion, we desire as part of the Pleasantdale Community Church to be an extension of the Lord Jesus Christ and to be His ambassadors to our world.